Does Lake County's #1 fake newspaper -- the Lake County Gazette -- publish a fake horoscope? The mind boggles. If you are going to lie, at least be good at it. Technology has significantly lowered the barrier for entry into publishing—for both print and digital, making it extremely difficult to distinguish between legitimate news and political propaganda. News and information shape the decisions we make every day and the importance of news literacy is becoming more and more important each day. People are continually inundated with messages from this growing number of platforms and it is often unclear as to the source or the integrity of the message or the platform. The newspapers published under the banners of Chambana Sun, DuPage Policy Journal, East Central Reporter, Kankakee Times, Lake County Gazette, McHenry Times, Metro East Sun, North Cook News, Rock Island Today, Sangamon Sun, SW Illinois News, West Central Reporter, West Cook News, are not members of the Illinois Press Association, nor are they eligible for membership in the Association. Note to Ops at the Lake County Gazette: If you want to be a member of the Illinois Press Association, then just say you are a member of the Illinois Press Association. It's not like you're not the fake news, after all. 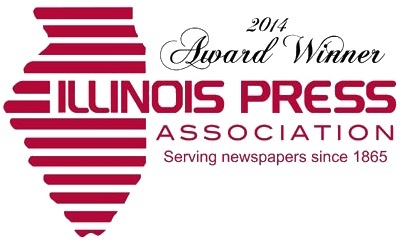 Take it from your LakeCountyEye, member in good standing of the Illinois Press Association.